Enter 1 in cell A1. Enter 2 in cell A2. Select both the cells and drag it down using the fill handle. Sometimes it may get a bit irritating to drag the fill handle to the last cell which can be many folds below the current cell. In this tutorial, I’ll show you a faster way to fill numbers in cells without any dragging. Go to Home –> Editing –> Fill –> Series. This will fill the cell A1:A1000 with the numbers 1 to 1000. 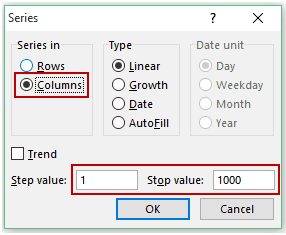 If you want to fill the numbers in the row instead of the column, select ‘Rows’ in the ‘Series in’ options. If you want to start from a number other than 1, fill that number in cell A1. Also, you can choose a different step. For example, select 2 for getting all number with a difference of 2. 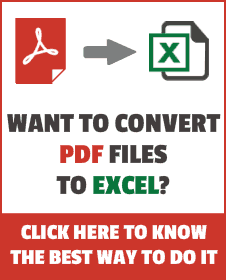 How to Use Format Painter in Excel. 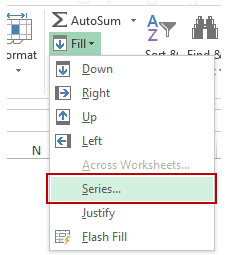 How to do this job in excel installed on ipad?